Comment: Can a sustainable Scotland be achieved? Could Scotland be 50% renewable by 2030? Two Edinburgh firms – Artemis Intelligent Power and Quoceant – have together secured £2.5 million from Scottish agency Wave Energy Scotland to trial a prototype which aims to turn wave power into electricity. The two businesses have developed a technology named ‘Quantor’, which includes the use of “digital displacement® hydraulics” to draw on the potential of wave energy machines. “We have combined the established advantages of hydraulic power – controlling tremendous forces in harsh environments at comparatively low cost – with the latest in smart digital control, to enable dramatic improvements in efficiency and controllability of wave energy devices”. Now with Wave Energy Scotland’s backing, the firms will be able to build and demonstrate a complete hybrid power transmission on a laboratory test-rig. This will simulate the behaviour of a wave energy converter responding to a range of different sea conditions. Their new innovation has been developed with engineering consultancy Quoceant, whose team developed the Pelamis wave energy device. 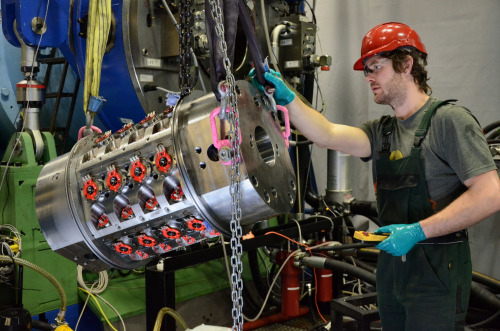 “Quoceant’s engineers have accumulated thousands of sea hours of practical experience in hydraulic power systems, and we have already proven in the lab that the Quantor concept performs as we expected,” Mr. Caldwell said. He added: “Now we will have the opportunity to combine our knowledge to build and demonstrate a completely realistic power conversion system that has the capacity to work at sea”. Artemis, which was bought by Mitsubishi Heavy Industries in 2010, already uses elements of the same technology to power the world's largest floating offshore wind turbine which is currently operating 20 km offshore of Fukushima in Japan, for which Artemis was awarded the MacRobert Prize in 2015 – the UK's highest award for engineering innovation. The Quantor project was one of three technologies chosen by Wave Energy Scotland to be included in their power take-off (PTO) development programme. The University of Ediburgh and Italian company Umbra Cuscinetti SpA also received awards.